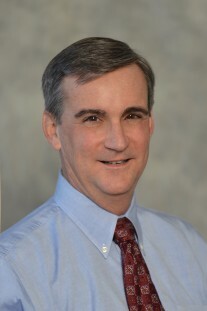 Dr. Broun’s specialties are hematologic malignancies and bone marrow transplant. Of particular interest is the use of bone marrow transplant, especially with alternative donors. Dr. Broun’s specialties are hematologic malignancies and bone marrow transplant. Of particular interest is the use of bone marrow transplant, especially with alternative donors. After graduating from medical school at St. Louis University, he completed a residency at Indiana University and a fellowship at University of Texas. He was then on the faculty at Indiana University and St. Louis University prior to joining OHC. Book Chapter: Broun, E.R. “Stem Cell Transplantation for Solid Tumors and Non Malignant Conditions” in Clinical Malignant Hematology, eds Sekeres, Kalaycio & Bolwell, McGraw Hill, New York, NY, 2007. Broun ER, Essell J, Sigmund D, et al: Treatment of Refractory Chronic Graft-vs-Host Disease with Inflixumab. ASCO 2003. Broun ER, Essell J, Sigmund D, et al: Allogeneic Stem Cell Transplantation for Non-Hodgkin’s Lymphoma. ASCO 2003. Broun ER, Essell J, Sigmund D, et al: Ambisome® 1 mg/kg/day as Empiric Antifungal Therapy in Patients with Prolonged Neutropenia and Fever. Broun ER, Essell J, Sigmund D, et al: High Dose Therapy with CD34 Selected Stem Cell Rescue for Multiple Myeloma Results in Prolonged Platelet Recovery. 2001 Keystone Tandem BMT meetings. Broun ER, Essell J, Sigmund D, et al: High Dose Therapy with CD34 Selected Stem Cell Rescue for Non-Hodgkin’s Lymphoma, Slow Recovery of Granulocytes and Platelets. 2001 Keystone Tandem BMT meetings. Adams PT, Ayash L, Ratanatharathom V, Broun ER, Uberti J, Silver S. Phase 1/11 high dose chemotherapy with autologous stem cell support for testis cancer: the U of Michigan experience. Proc ASCO 325a, 1998. Petruska PJ, Visconti JL, Walsh WK, Dunphy FR, Pincus SM, Broun ER, McIntyre W. Phase 1/11 trial of the addition of escalating doses of paclitaxel to high dose (HD) carboplatin/cyclophosphamide with peripheral blood stem cell (PBSC) support in high risk breast cancer. Proc ASCO 17: 166a, 1998. As a member of our OHC physician team, Dr. Broun has full access to the OHC Clinical Trial research program. "Dr. Broun and his staff are always kind, courteous, and compassionate. They are all knowledgeable, caring, professional, and spend appropriate time with me during appointments and phone conversations. I am truly blessed to have them for my physician needs." "My journey through my MM cancer treatment, care, and follow-up was made much easier and better by the knowledge and personal concern demonstrated by my oncologist, Dr. Ed Broun, MD!!!" "I trust Dr. Broun implicitly. My husband and I admire and respect him. The staff is friendly, sympathetic, and professional."